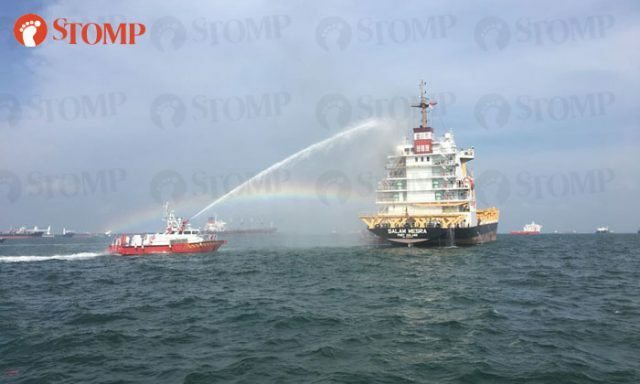 The 115 meter long, 8150 dwt container ship Salam Mesra caught fire while anchored off Marina Barrage, Singapore. 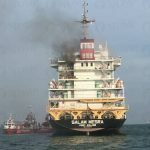 The fire started in the vessel’s superstructure in one of the crew’s cabins. 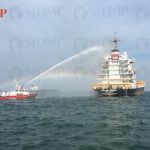 Authorities were alerted and dispatched four firefighting vessels to the scene. 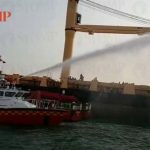 Using water jets to reach the upper deck cabins, the vessels were able to contain the fire five hours later. No reports of injuries. 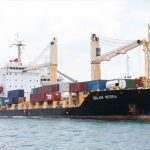 Details to the extent of damage to the Salam Mesra was not reported.